Beat This Caption Contest 241 – Caption Contest Funny Clever Witty Enter Today! 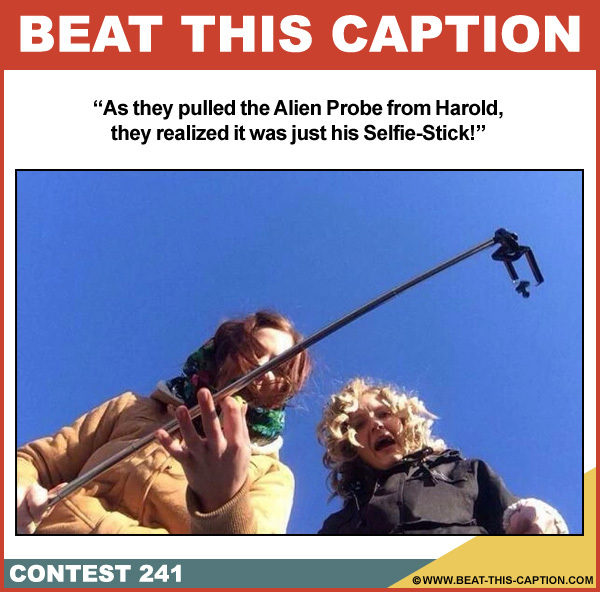 As they pulled the Alien Probe from Harold, they realized it was just his Selfie-Stick! March 29th – April 4th 2015.